Manchester United are back to winning. It was a short stop against Burnley, but a win at Leicester could prove crucial in their quest for Champions League football. It was not pretty, nor was it exciting, but Manchester United managed to get the points they needed so much and a clean-sheet away from Old Trafford is always helpful. Yesterday we talked about the four things we learned from the match, but now we will be taking a closer look into the underlying numbers and see what are they telling us. Alexis Sanchez is now into his second year at the club, since joining from Arsenal in January 2018 and he is still having problems finding his feet. Or maybe these are the feet that now fit him, as the Chilean is truly well below the levels he was showing in his earlier Arsenal years. 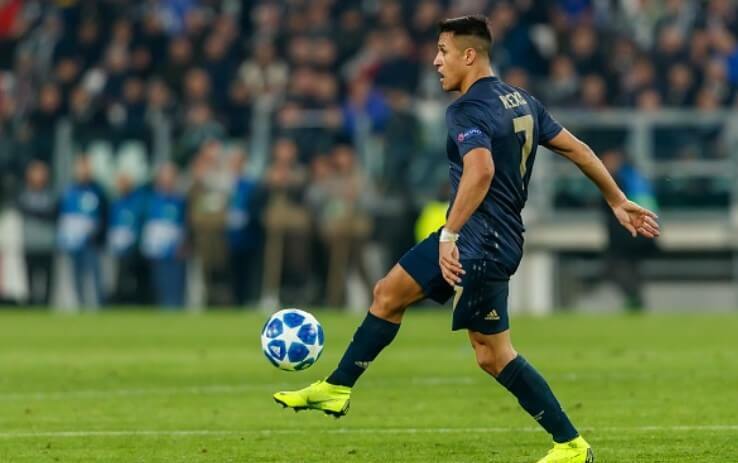 Sanchez played this time as part of Man United’s forward two, paired with Marcus Rashford. However, contrary to the Englishman, Sanchez looked off throughout. He made 39 touches in his 67 minutes on the pitch, but none of them happened at 20 or less yards from Leicester’s goal. He was always far from where he could damage the opponent, his dribbling was almost nonexistent, thus his movements to the left touchline and far from Schmeichel’s goal made even less sense. Manchester United had some poor second halves this season, where they did not get into chances and had to withstand the pressure. It was a similar story against Leicester. Man United’s best two chances – one of them being a goal – came in first half. In the second, there were just four shots from Man United players, none of them from even decent chances. There were long spells where the Devils simply could not get closer to Leicester’s goal and the attacking display Foxes had put on made many fans wonder if 1-0 will be enough. It was in the end, but against teams like this one, United could and should do better. They will not always score, but letting Leicester pepper you with nine shots and peg you back is not something to look for. Leicester have been known for finding great talents around Europe and making them even into world class players. At least, that is what happened with N’Golo Kante and Riyad Mahrez, two players no one really knew before they arrived, but are now important players for Chelsea and Man City, not to mention that one of them became world champion. But similarly to them, Wilfried Ndidi is proving to be a gem, too. We will see how much will he develop in the future, but against Man United he showed why so many rate him so highly. Against Man United, he did all kinds of things. Ndidi had three successful dribbles from as many attempts, managing to progress the ball forwards, whilst still being crucial in defensive department. He made three tackles and four interceptions, being active in all areas of the pitch.